Coed 4's leagues at multiple awesome locations! Love the sun, sand, socializing, and..oh yeah..volleyball? Club Sport combines them all. 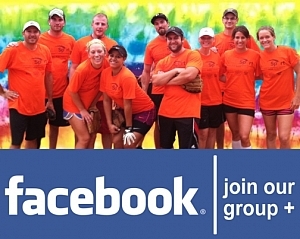 We offer coed 4's sand volleyball leagues on both the beach and on outdoor sand courts elsewhere. Players of all abilities are welcome, from beginners to seasoned players. Sign up a full team or on your own and we'll find a team for you. All Club Sport volleyball leagues include paid referees so all you have to worry about is blocking that spike! !